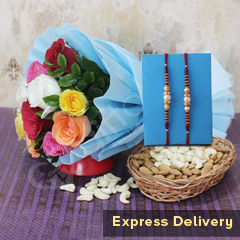 You must be feeling perplexed, if you have not yet been able to send Rakhi gift for your brother. 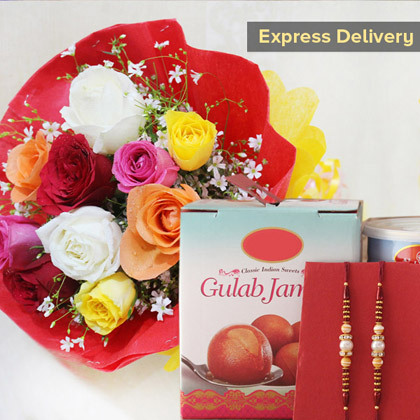 But, this one is a sweet and refreshing hamper of Rakhi, sweets and fresh flowers are going to win any brother’s heart for sure. 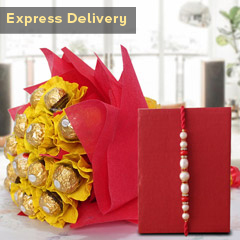 Hurry to place your order now! !